Stockhausen's Mittwoch aus Licht - camels, helicopters and paint! 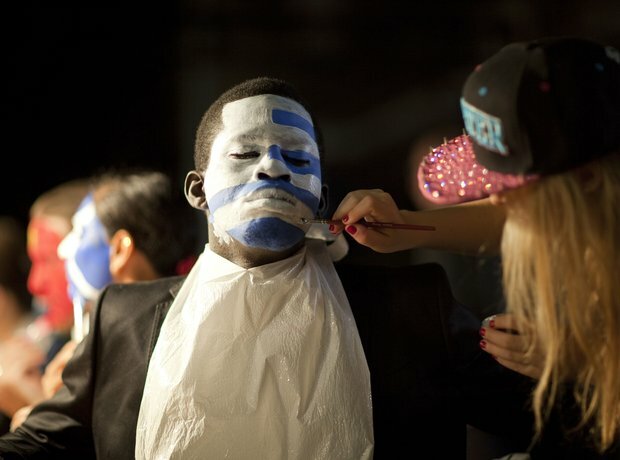 The performers for Mittwoch aus Licht require a huge amount of distinctive make-up - here one performer has his applied. See the full gallery: Stockhausen's Mittwoch aus Licht - camels, helicopters and paint!